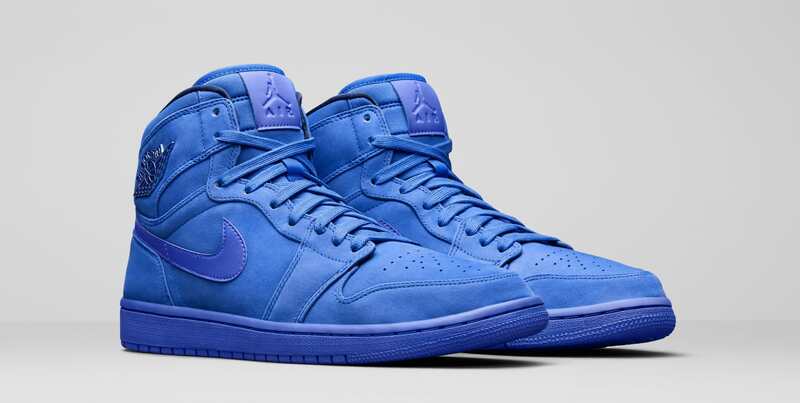 Last year, Jordan Brand treated the fellas to a tonal suede Air Jordan 1 High in a blue suede, and this year it’s the ladies turn! Taking on the 1986 classic, this womens-exclusive labelled “Racer Blue,” comes decked out in a fine nubuck upper, decked from tongue to toe in royal blue. A metallic Wings logo replaces the traditional debossed motif, with a nylon tongue and ankle underlay. Although these were unveiled just yesterday as part of Jordan Brand’s women’s holiday collection, this Jordan 1 is already available at retailers like Shoe Palace for $144.99.